There are more than 150 'joy' verses in the Bible. That's three verses a week to write down and ponder; three verses every seven days that would soak deep into our souls and nourish our spirits. Can you imagine the change in us if we truly understood, embraced, extended and exuded JOY as a natural fragrance of our personality and nature? For the rest of the year (unless the Lord directs otherwise) I'm going to be sharing JOY verses each Sunday, and I've chosen Philippians 1:4 today because it's so obviously the first place to start. Intending to read Paul's letter to the believers in Philippi this past week, I got stuck on Chapter 1 verse 4 and could not go any further because in those few simple words I was confronted with a question that required much contemplation and soul searching. Do I pray with joy when I pray for my brothers and sisters in Christ? You know, if I received a letter from a fellow believer telling me that every time they pray for me it is with JOY I think my faith would soar to new heights! Sadly, there's probably only a few times I've ever said this to someone, even though I have prayed for joy when there's answered prayer or someone I know accepts Jesus as their Saviour. But to be honest, I don't think I pray with JOY often enough at all. Though my prayers always begin with thanksgiving and praise to God, too many prayers are filled with angst and tears and longing and pleas for intervention, and afterwards I get up and feel relief at unloading all that on God, but I rarely get up from my prayer time with a JOY-ful attitude. Maybe some of you are already praying like Paul, but if you're like me, how about we start praying for our fellow believers with JOY? As Paul said, God is doing a work in them that WILL continue until the return of Jesus so no matter what they are facing God has it all in hand - there are no surprises to Him, it's all under control in light of the Big Picture. There will still be times when we must cry out to the Lord and intercede over a situation, but we can also pray alongside that with joy. Like many of David's psalms - there was a need or a trial, but there was also confidence and JOY and praise! If this is a new idea for you too, join me and follow the example of these two mighty men of God by practicing a sprinkle of JOY within every prayer. JOY is another way the Lord is renewing my mind by the washing of His Word. Awesome stuff. Download the free Scripture cards with devotion HERE. Obrigada por chamar nossa atenção para isto! Orar com alegria, conversar com Deus com alegria! Mesmo estando tristes e nos sentindo necessitados da intervenção Dele, precisamos, acima de tudo, ter alegria, porque Deus é alegria e é assim que conseguiremos mais facilmente superar nossas dificuldades. what a great post! I struggle with joy. I don't think I had ever notice that in this scripture, even tho I've read it and heard it numerous times. 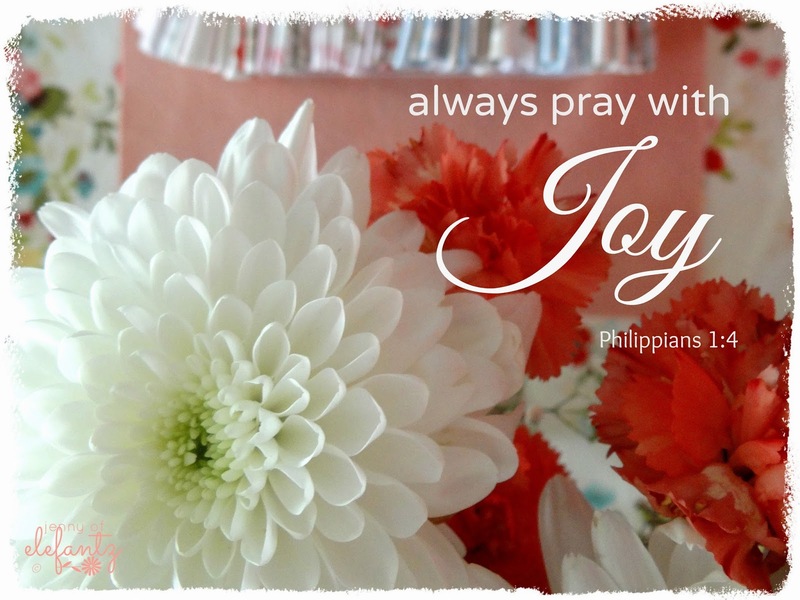 Praying with joy. Something I'll have to work on. THank you, I do enjoy reading your blog. Patty H.
Truly, awesome stuff. Like the others, I don't think that I had focused on that in verse 4 before now. 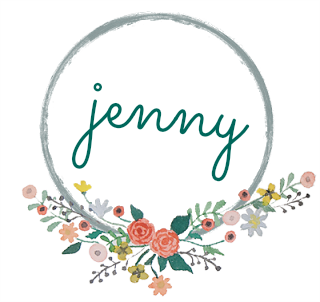 Thank you, Jenny....isn't it wonderful that God can use us to help others, like you have helped us? That's a joyful thought! About 20 yrs(or more) I was having a losey time. I was in a 12 step support group and was having issues w a woman in the group. She irritated me, and she showed up almost everywhere I went. Someone told me to pray for her, WHAT I WANTED IN MY LIFE. Well that was hard, but it was also hard to ask for what I wanted, peace, financial security, someone to love, and to be loved. There were days when I did it with irritation and resentment, there were days I did it with sincerity. Eventually she moved on, stopped showing up by my elbow. I then used the prayer on my soon to be ex, and then my teen DD that was acting out a lot. I didn't ask for Joy, it was too far from my view. But I think I will start. thank you. and Joy to you today. Thank you, Jenny. Really good reminder. I often pray the same prayers you do, the pleading, the tears, the hurt. I've been trying to put the joy in during other prayers during the day - a thank you for an unexpected flower blooming, or the song of a bird, joy at all my Father has given me even in the face of the obstacles and trials we all have. I try to think of keeping a prayer in my heart at all times. Sometimes it's hard! But I'm finding the joy is easier to come by that way. =) This post was a good reminder to me of WHY I'm doing that and to do it more often. I love the word JOY! Just reading the word JOY lightens my heart. God bless you! So beautifully stated!! I look forward to your future posts. Yes, I try to let my JOY shine every day. :) Blessings! Thank you!